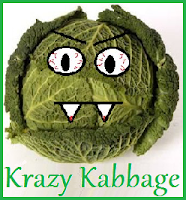 We are having a Techy Summer over at Mom to Bed by 8, the ‘Iowa Mom‘ and Krazy Kabbage want to help you continue on with your sensational summer by offering you a chance to win an Xbox Kinect Bundle Pack (including Xbox 360 console, Kinect Sensor and Kinect Adventures Game). Retail value $299. Special thanks to the co-hosts TechyTribe, I Love To Gossip, Giveaway Bandit, As Mom Sees It and Couponing4you for their support in bringing this gamer giveaway to life!